TopFX has recently participated in Invest Cuffs in Krakow, Poland. This 2-day event is the largest trade show of its kind in Central Europe and attracts investors, traders, educators, mentors and key industry players for networking and relationship building with the local market. The event was packed with workshops and seminars on various investing-related topics, such as trading strategies, current trends in the financial markets, cryptocurrencies, stocks, ETFs, machine learning in investing and specific technical analysis subjects. TopFX was pleased to see the positive response that our newly launched All-in-One Broker Solution had and discuss with businesses how we can customise the service to fit their needs. The All-in-One Broker Solution is a complete package for starting a brokerage or boosting the capabilities of an existing business. Our decade-long experience in the market has led us to realise that startup brokers may often find the process of setting up complex; as a result, our primary goal behind creating this all-inclusive solution was to facilitate a smooth but dynamic entry into the competitive e-FX and CFDs market. Besides startups, the All-in-One Broker Solution is often preferred by companies that aim to expand their selection of assets and improve their price feed or brokers who are looking to attract a broader clientele. One of the key benefits of the solution is that it includes the full cTrader platform suite, including the mobile app, administration panel and hosting solution. Due to its sophistication, advanced tools and multiple trading functionalities, cTrader is an innovative platform that attracts an increasing number of traders worldwide. By incorporating cTrader to their offering, brokers gain the advantage of attracting new traders and expanding their existing client base. 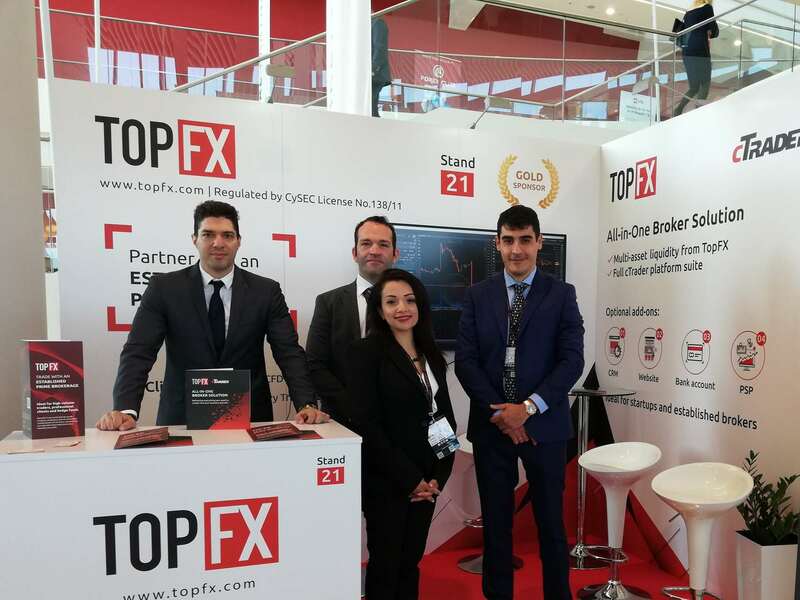 The event was impeccably organised, and TopFX would like to thank the Invest Cuffs Expo team for their professionalism and contribution to our successful presence in the trade show.